If you are making a plan to buy Asus RT N16 then you need to wait for awhile because I’m going to provide you a detailed review of this device. It’s better to make an informed buying decision rather than buying a product about which you have little or no idea. Let’s start exploring every single detail of Asus RT N16, which comes from the house of Asus. What is Asus RT N16? It is a single band N-router that is considered the best for all those guys who want to make the most out of wireless broadband technology. This router brings a media server and a built-in printer and both things make it different than other available routers of the market. It is featured an overclockable 480Mhz CPU and 128MB of RAM. 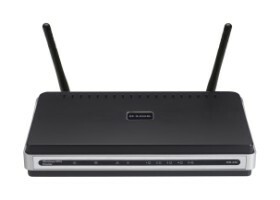 Asus RT N16 has the same conventional square design that you generally found in other routers. On the back, you will find three removable antennae, five Gigabit ports and One WAN port. You are free to establish LAN in home or office via five Gigabit Ethernet ports. There are two USB ports next to WAN port; you can use these ports when you want to establish a connection with printer or other hardware device. Back of router has two tiny buttons: first is used for resetting the router and second is employed for Wi-Fi Protected Feature (WPS). When you press WPS button then all WPS supporting devices automatically enter into the wireless network. The front of router has a series of tiny LED indicators that display the status of internet connection, Ethernet ports and wireless network. A router brings a quick start up guide for the user. With the mean of this guide, you find it easy to set up your router. There are certain steps to follow. Once you done, router will start working in a matter of seconds. You are free to start customizing different features of router from its web interface after the successful completion of setup. Friendly Web interface: When you type IP address of router in your browser you are being directed to the web interface. You will find a map that provides the complete details of all connected devices along with USB ports info. No doubt, interface of this router is very easy to use and user friendly. You can find all those details that matter to you the most. EzQoS:It stands for Easy-to-use Quality of service. You can use this feature if your want to prioritize network and internet traffic for some specific services. For example, you can select Voip from the available service options only when you want that your network give preference to this service. Hard Drive Connection and Content Sharing: You are free to connect a hard drive through a USB port with your router. After connecting this hard drive, you can easily make its existing content as public or simply share it with all available accounts. In this way, everyone has full access to it. If you want to set access privileges then you can also do this right from web interface. Great Compatibility: One of the best features of Asus RT N16 router is that it has good compatibility with third party firmware. Unlike other routers that are only work well with their proprietary firmware, Asus router runs smoothly with third party open-source firmware, either. When use this router with DD-WRT open source firmware then you enjoy its great performance. Advance Setting: You will find point and click icons on web interface. When you tap on these icons then you can do all kinds of advance settings that you like to do. For example, you can share files, which are stored on external USB drive, with one or more accounts quite effortlessly. Asus RT N16 offers better performance when it is compared with other single band routers. However, you encounter some bugs when you want to do advance settings. Overall, this router brings easy to use web interface and decent broadcast range. It is also noticed by many users that the performance of routers boosts up with DD-WRT open source firmware.. In case you want more information regarding Asus RT N16 then it is better to check Asus official website where you will find manuals, FAQ, download and support related articles. This device brings two year warranty. If you encounter with an issue, which solution is not available online, then you can contact with technical support through email. If you are looking for the best single Band wireless router then no doubt, Asus RT N16 has everything that you are looking for.You can use router for occasional document sharing purpose but you need to avoid the sharing of heavy files and media streaming via it. If you check online user rating of Asus RT N16 then you come to know that many users give it a 5 star rating due to its effective performance. Go and give Asus RT N16 router a try. Don’t forget to share your experience with us.Here are the list of Top 5 VPN Providers that work best with VPN router.